Indonesia and Malaysia recently held a bilateral meeting in Kinabalu with no significant results. However, at least there is a clear message from the meeting — that these two neighboring countries have a great deal of work to do. Like a pebble in a shoe, border disputes will continue to be a main obstacle in maintaining a good relationship between the two nations. The relationship between Indonesia and Malaysia is like a roller coaster, up and down and full of surprises. The shared cultural roots between both nations often become a problem rather than a blessing. The recent dispute in regard to the arrest of Malaysian fishermen by the Indonesian authorities and the detention of officials from the Indonesian Maritime Affairs and Fisheries Ministry by Malaysian Police has just added fuel to the fire. This latest conflict adds to a series of disputes between the two nations, after the Sipadan and Ligitan case, the Ambalat Bloc clash and conflicts on cultural claims. Unclear maritime boundaries may result in overlapping claims. Indonesia or Malaysia could then both argue they were in the right in the incident that occurred in the Tanjung Berakit waters. Therefore, both parties really need to work hard in order to come to an agreement on a clear maritime boundary. Many wonder why the conflict with Malaysia seems to be connected to the issue of nationalism. In fact, many our fishermen were getting lost in the Timor Sea and being detained by the Australian authorities because they had entered Australian territory. But, it never became such a big story. Border matters between the two countries have to be negotiated and diplomacy is the best way. Because the core problem is shared borders, it is not fair if the focus is only on maritime boundaries. Indonesia and Malaysia also share land borders. The land border may be much more defined and better established than the sea border, but it doesn’t mean there are no problems. There are so many cases with regard to land borders, including transnational forestry-related crimes. Just like the maritime disputes, the cross-border forestry-related crimes also need attention, cooperation and diplomatic efforts between the two countries. The most prominent transnational forestry-related crime is illegal timber trading and smuggling. In 2003, for example, the Forestry Ministry reported the loss from these crimes was 10 million cubic meters of logs per year. It was not a small number. These forestry-related crimes do not only cause economic losses but also environmental degradation. For the last couple of years, the rate of timber smuggling has decreased significantly to about 3 million cubic meters per year. Although it may not be too significant compared to the total illegal logging in this country, it is still a great loss for Indonesia. Luca Tacconi et al. (2004) noted that in 2001 and 2002, East Kalimantan supplied about 2 million cubic meters of logs to Sabah, most of which were illegally traded. The question is why do cross-border forestry related crimes occur? Krystof Obidzinski et al. (2006) said that transborder timber smuggling and illegal trading in Indonesia are due to several factors. Lack of law enforcement is the main problem. Local players, which include villagers and loggers, take advantage of the situation. In most cases, government officials and security officers are also involved. However, several factors come from the Malaysian side. They highlighted that the regulation on liberal trade, such as the Free Trade Zone (FTZ) in Sarawak, creates an unlimited market for illegal timber from Indonesia. The FTZ only requires minimal documentation for imported timber. Hence, it is undeniable that demands from the Malaysian side partly drive the growth of timber smuggling from Indonesian forests. In fact, Malaysian sawmill operators always try to get cheap raw timber, such as that from Kalimantan. The other factor on the Malaysian side is the road network intrusions. A survey conducted by the Center for International Forestry research (CIFOR) analyzing satellite images showed that, in 2003, there were many intrusions of road networks from forest concessions in Sabah and Sarawak that entered East and West Kalimantan territory. Those road networks even passed through areas of conservation forests such as Betung Kerihun National Park. Thus, what is the importance of diplomatic efforts to solve these problems? Without minimizing the demand side of the illegal timber trade, it is hard to combat timber smuggling. Therefore, besides working on resolving the domestic causes, we also need to talk with the Malaysian government on the issue. 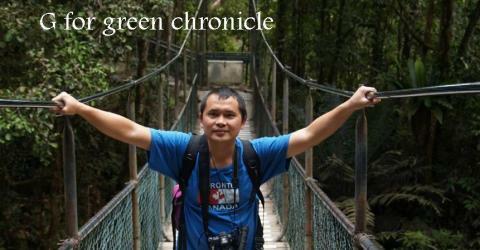 The cooperation on forestry, security and customs may limit the demand from the Malaysian side. The two neighbors have many border matters to discuss. If the problems are not resolved, they will remain a pebble in the shoe of bilateral relations. Therefore, if we agree that diplomatic efforts should be made, it would be better if the talks included all border problems, including forestry-related issues, and not just maritime border disputes.